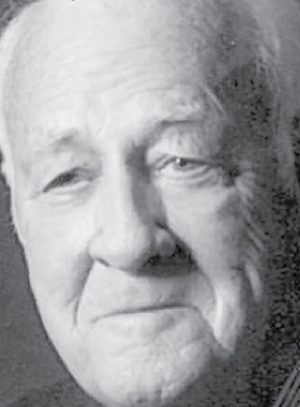 Obituary – Severe, Donald Wayne « Perry High School Alumni Association, Inc.
Wrestling ’45-’46; Annual Follies ’45-’46; Basketball ’45-’49; Baseball ’46-’49; Football ’47-’48; Perryscope Staff ’48-’49; Student Council President ’48-’49; Teen Town Council ’48-’49; Student Council ’45-’49; Mayor for a Day ’48-’49; Boys’ State ’47-’48. ﻿Donald Wayne Severe passed away peacefully on June 5, 2013 at the age of 82 years in Fort Worth, Texas. He was a resident of Granbury, Texas at the time of his death. Donald was born November 26, 1930 in Perry, Oklahoma, to C. Otto Severe and Irma Bonita (Nida) Severe. Graduating from Perry High School in 1949, he married the former Virginia Lee Anderson of Ponca City, Oklahoma on November 23, 1952. They were married over 60 years. 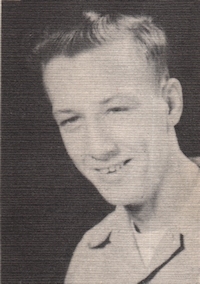 He attended Oklahoma State University, where he obtained an Associate and Bachelor of Science degree in May, 1957. He attended Colorado School of Mines and was employed as a Petroleum Engineer for Cities Service Petroleum Company. He and his family lived in Oklahoma, Texas, Kansas, Kentucky, Indiana, and Colombia, South America. He ended his career with Bank of America, Fort Worth, as a vice-president and trust officer in the oil and gas department. He was a member of American Institution of Minerals and Petroleum Engineers. He served his country in the U.S. Army and was a member of the American Legion. His favorite thing to do was work in his veggie garden, and he loved sharing his tomatoes, etc. with family and friends. He enjoyed golf with Virginia, family members and friends. He was preceded in death by his parents, brother LeRoy and son Jim Wesley. Donald is survived by his wife, Virginia Severe of the home, son Donald Warren Severe and his wife, Beth, of Spring, Texas, son Kent Leroy Severe and his wife, Kathy, of Mansfield, Texas, sister Norma Vanbiber of Spring, Texas, brother John Severe of Stillwater, Oklahoma, Aunt Katherine Klinglesmith of Perry, Oklahoma, three grandchildren, two great-grandchildren, and many cousins and friends.